Sometimes a little light can make a world of difference! 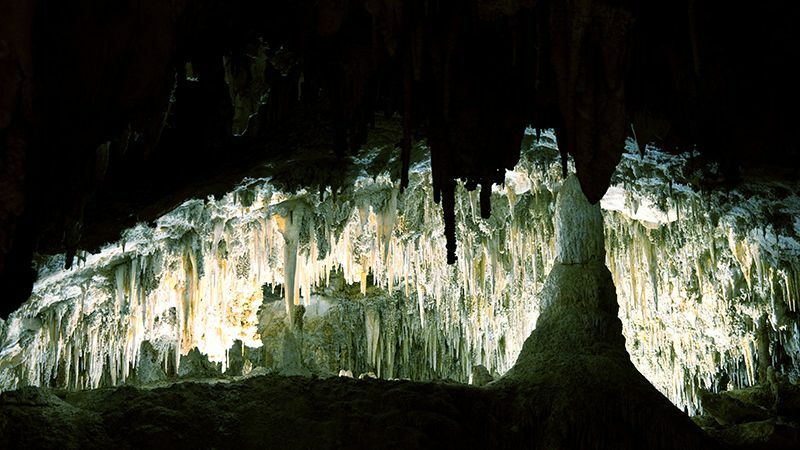 When I was about 10 years old, my Dad and Mom took me to Carlsbad Caverns. I still remember the gigantic stalagmites and stalactites. I can almost feel the cold of being deep inside the earth on a hot summer day. But my most vivid memory is of the moment our guide had all of us find a place to sit down and — after warning of what was about to happen — turned off all the electric lights that had been put inside the dark belly of the earth. I had the sensation of tumbling head over heels. My heart raced. With one hand, I grasped the rock ledge on which I was sitting and with the other reached for my father. Fortunately, the tour guide didn't allow it to last long. He turned on his flashlight. And it looked as bright as a million candlepower searchlight! 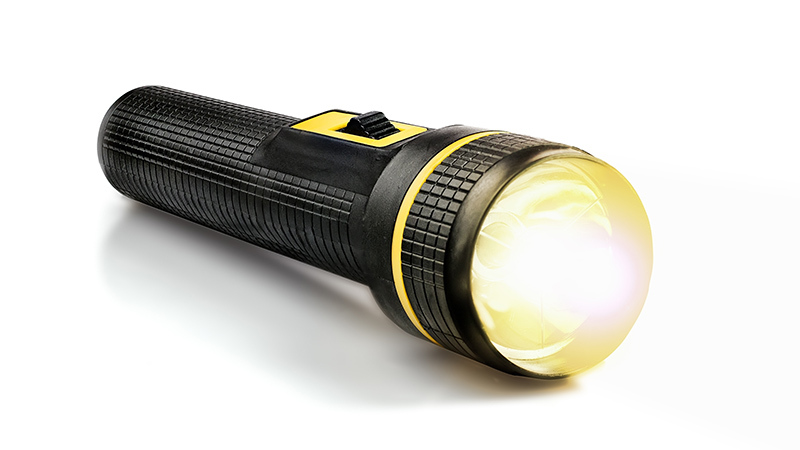 An ordinary flashlight that costs $3.00, complete with batteries, can push back the encompassing, frightening darkness of Carlsbad Caverns. A beam that would be hardly noticeable at ground level on a sunny day looks like a laser in deep darkness. As soon as it appeared, my stomach gave up its tumbling sensation. My lunch became stable again. I could see my parents' faces in outline again and knew I wasn't alone. I sensed that the single light in our guide's hand heralded the return of the lights that had guided us previously and whose presence we had taken for granted. When God created Planet Earth as our home, he came onto a scene that was formless and dark. He pushed back the darkness with light, then set about to bring order to chaos. It takes light for life to survive and thrive. When Jesus was re-creating the human race and restoring hope to despairing people, he came onto a scene made formless and dark. This darkness had come by human rebellion against his Father and humanity's inhumanity to its own. In his birth, teaching, lifestyle, and personal victory over death in the resurrection, he pushed back the darkness with the light of heaven's bright glory. To use John's language, Jesus was the light shining into our darkness; the darkness could not conquer the light he brought. A beam that would be hardly noticeable at ground level on a sunny day looks like a laser in deep darkness. If you ever feel the head-over-heels sensation that comes of being in the deep darkness, look in his direction. Jesus is still the Light of the World. And it is only in the presence of light that you can live, grow, and flourish. "I am the world's Light," Jesus said. "No one who follows me stumbles around in the darkness. I provide plenty of light to live in" (John 8:12 MSG). "A Little Light Please" by Rubel Shelly is licensed under a Creative Commons License. Heartlight encourages you to share this material with others in church bulletins, personal emails, and other non-commercial uses. Please see our Usage Guidelines for more information.